"It was simply awesome...it was a great experience for me...there’s nothing better than meeting new friends, having drinks with them, while doing charity and spreading love at the same time." - Jonathan Zeman, CEO, LKF Group on the Santa Crawl. 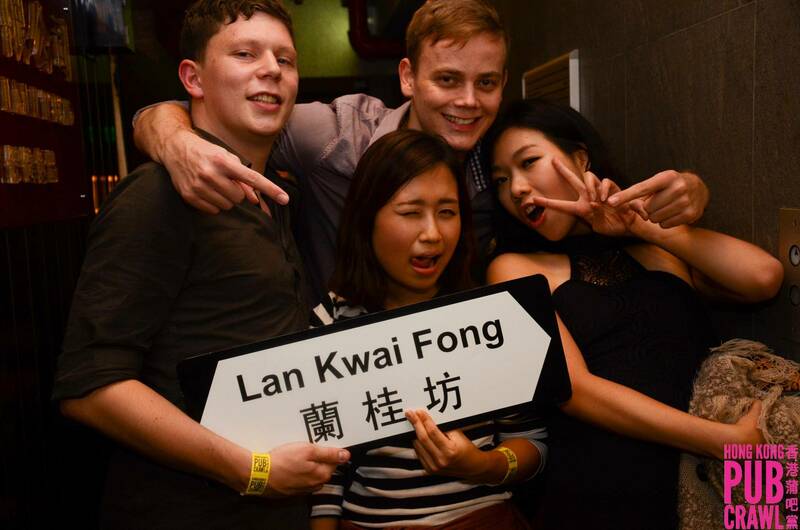 Party with Hong Kong Pub Crawl(HKPC) and discover Hong Kong’s best nightlife spots in the legendary Lan Kwai Fong (LKF) Bar District as you meet other thirsty travellers, locals and expats, all the while enjoying our unbeatable drink deals. Every Thursday, the crawl masters will be there to keep conversations going as we lead the crawl and take you to the best bars in Lan Kwai Fong (LKF), Hong Kong's most iconic nightlife district. Think hidden rooftops with amazing views, dark alleyways, and secret doors… all redefining the journey off the beaten track! If you're looking to party, this tour is undoubtedly one of the best things to do in Hong Kong. The Thursday LKF Crawl officially starts from 09:00 pm, and stays at one bar for each hour. The night builds up and ends (and for some, just begins...) at our final nightclub, at 12:00 am. The nightclub is not an experience to be missed. Our drink deals don't apply at the nightclub, so remember to take advantage of them before! Free entry is included in your ticket, but strict: remember to bring photo identification. Don't wear flip-flops, sandals or open-toed shoes. Besides the start bar, our bar routes are varied weekly to ensure we explore all that Hong Kong's nightlife has to offer. Age: minimum 18 years old. Bring a photo identification (passport, ID Card, Driver’s license). Dress Code: No flip-flops, sandals or open-toed shoes. 1. 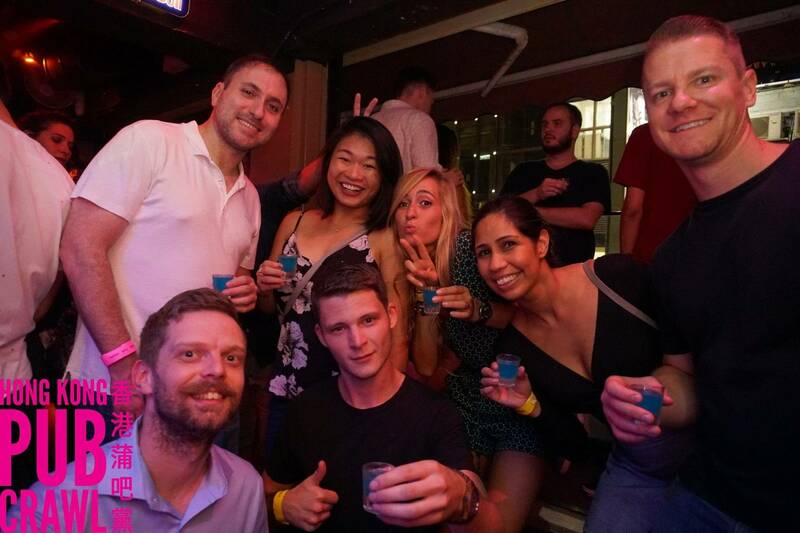 What is the Hong Kong Pub Crawl? 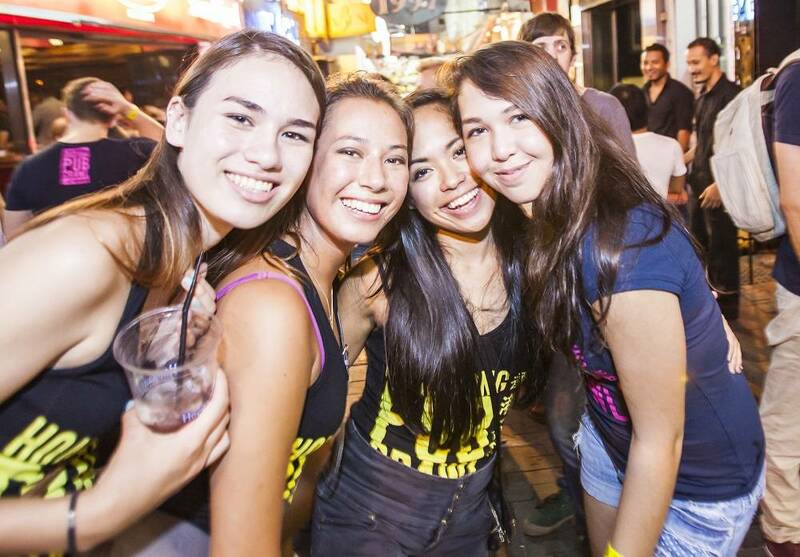 Hong Kong Pub Crawl is a nightlife events provider. Their events are synonymous with fun, off-the-beaten track venues, excellent drink deals, and meeting folks from all over the world. 2. What do I get joining your crawls? 3. Who is this event for? People from all walks of life are welcome, whether you’re a backpacker, exchange student, local, lone-traveler, you name it. 4. Why should I join? 5. What’s the itinerary for the night, and which bars do you go to? In general, you would stay at each bar for just shy of 1 hour (allowing time to travel from bar to bar). Hong Kong Pub Crawl’s policy is to NOT disclose the bars that they attend until the night of the crawl to encourage all guests to be on time and arrive before we head off to the second bar. Each bar is specially hand-picked by their team, is off-the-beaten-track, and they rotate between a large roster of bars each week. Within reason, anything is suitable. We ask guys to not wear shorts or flip-flops to avoid problems at the clubs. 7. Do I need to bring ID? 8. How many people normally attend? The crowd size varies each week, averaging 70-120 most weeks on Thursdays, and 30 – 60 on Wednesdays. Our current record is 250 people and waiting to be beaten! HK Pub Crawl runs the Thursday crawl, rain, hail or shine. For Wednesdays, they follow policies of the Hong Kong Jockey Club.